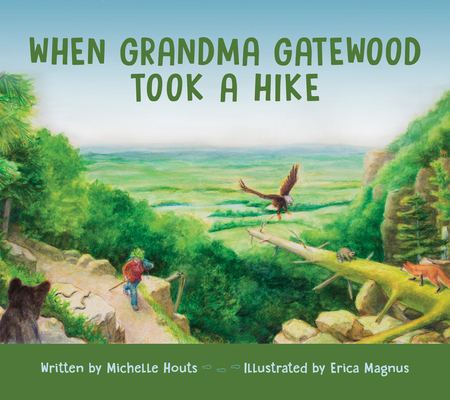 It took her two tries, but in 1955, sixty-seven-year-old Emma “Grandma” Gatewood became the first woman to solo hike the entire length of the Appalachian Trail in one thru-hike. Gatewood has become a legend for those who hike the trail, and in her home state of Ohio, where she helped found the Buckeye Trail. In recent years, she has been the subject of a bestselling biography and a documentary film. Michelle Houts holds degrees in special education and speech-language pathology. She is the author of several fiction and nonfiction books for young readers, including the award-winning The Beef Princess of Practical County,The Practical County Drama Queen, and Winterfrost. Erica Magnus has enjoyed applying her fine art skills as a freelance artist to children's books as author and illustrator, for film and television as concept and creature design artist, and as a teacher. Happily back in Athens County, Ohio, where she raised her daughters, she now works from her Amesville studio. Meadows and woodlands surround her tiny home, where she lives with her first and deepest love, nature.